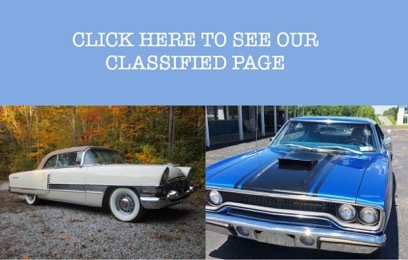 This Classified is for Classic Cars, Classic Motorcycles, Hot Rods, Customs, Street Rods, Classic Auto and Motorcycle Restorations, Exotic Cars and Motorcycles, Restomods, Turn Key, Incomplete Projects, and other Special Interest Vehicles. 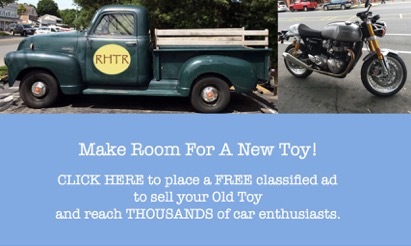 Place a FREE ad here to reach thousands of car and motorcycle enthusiasts. Ads on our classified will also get exposure on our regional Facebook pages and Twitter accounts. See our state pages for a list of our regional Facebook and Twitter accounts. CONDITION FILTER: We are also geared towards the project enthusiast. You can also search for Unfinished Projects, Rollers (no engine or transmission) or vehicles being Parted Out. 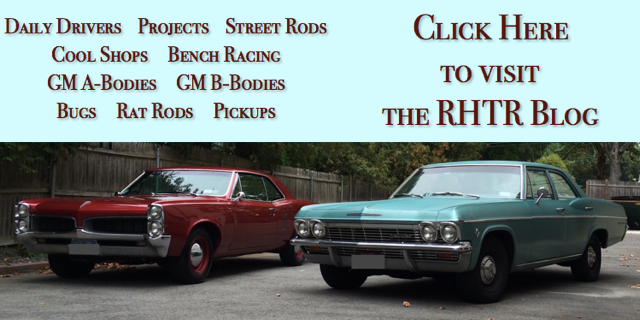 CONVERSIONS / UPGRADES FILTER: We support the hot rod community who like to change things up. Search for cars that have upgraded brakes, suspension, charging system, drivetrain, etc. ZIP CODE AND DRIVING RADIUS: As with our Event, Clubs, Shops, and Museum search pages, we have a zip code function so you can see what is near you. If you like what you see please spread the word about Rubber Hits The Road. Happy Shopping! Such as model, custom, restoration, etc. Separate each term with a comma. For sale in our Indianapolis Showroom is a ready to race 2012 Gold Crown Race Car. The car was built for the Gold Crown Series. Series was USAC and Nascar GOld Crown. The series was abondoned after 1 year. The car was purchased for $90,000 after build. The current owner has the car since 2015. The car is street legal with a VIN number. The 400 small block engine produces 425hp and was built at Gasoline Alley and has mild cam. The 2speed Transmission shifts and it should. The car sounds awesome and ould be geat additon to any collection. Car has been used in parades and at various events throughtout central indiana. This 2012 Gold Crown Race Car for sale is located in our Indianapolis Showroom and can be seen in greater detail, including an HD video at www.GatewayClassicCars.com. Please call (317)688-1100 or email us at INDY@gatewayclassiccars.com for additional information. For sale in our Chicago showroom is this sporty 1991 Chevrolet Camaro Z28 Convertible. Powered by a 305 cubic inch V8 engine topped with Chevrolets Tune Port Injection system, so even with the top down, the power is up! Backing that 5.0L engine is a smooth-shifting 700R4 4-speed automatic overdrive transmission known for giving great acceleration while still keeping RPMs down when cruising on the highway. The posi rear-end has a nice highway gear of 2.73 in it to give a healthy boost in MPGs for this neo classic. Plenty of work has been done to keep this beauty in top shape. The interior was gone through and freshened up with beautiful white piping, a fresh coat of paint was laid down, and a whole new exhaust system was tucked under to make this beast rumble like you would expect from such a capable cruiser. The alloy wheels shine bright in the sun, and put the power to the pavement with some help from a newer set of summer tires. Turn the key and hear this Z28 rumble to life, ready to cruise the country with you at the wheel. The 3rd generation of the Camaro is starting to reach collector status, take this opportunity to get your hands on one before values skyrocket! Options include: Air Conditioning, Allow Wheels, Anti-Lock Brakes, Anti-Theft System, AM/FM/CD, Manual Convertible Top, Cruise Control, Drivers Airbag, Leather Interior, Power Door Locks, Power Seats, Power Steering, Power Windows, and a Tilt/Telescopic Wheel. For more information on this peppy 1991 Chevrolet Camaro Z28, contact our Chicago showroom at (708) 444-4488 or Chicago@GatewayClassicCars.com. To see more HD photos and an HD video of the vehicle running and driving, visit www.GatewayClassicCars.com. For sale in our Nashville showroom is a beautiful 1959 Ford Fairlane. A mid-year model crossover, the 59 Fords were quite the mixed bag of badging. At various shows youll often find patrons arguing whether its a Fairlane, Fairlane 500, Galaxie, or Galaxie 500. Truth be known, they were actually all one in the same. Taking on the bigger and boatier lines of the Thunderbird, the Galaxies truly took on big bodied form, superseding the Ford Fairlanes. Continuing the Fairlanes roll as Fords full-sized sedan, they had various options in various trims. This particular Fairlane being a two-door, still has a sporty feel, while maintaining the room needed for a family. This particular 59 Ford for sale left the factory with a 200 horsepower 292 Y-block engine. Its since been replaced with the more modern 5.0 liter (302 cubic inch) small block Ford V8. 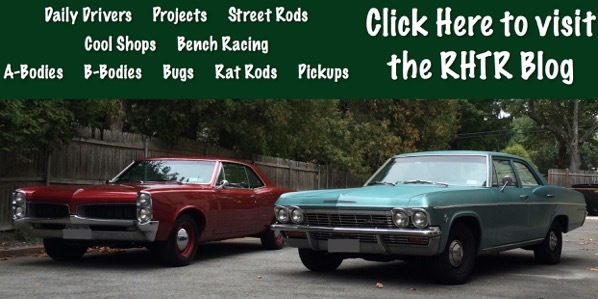 With performance goodies like headers and dual exhaust, this small block Ford rumbles and pushes this 1959 Ford Fairlane for sale along with ease. Backing the small block Ford is an automatic transmission. Built for easy cruising, this 1959 Ford for sale is eager to take a trip down to local show or drive in movie! The exterior is a mild custom, with a two-tone black and silver paint scheme. With fins and chrome like the epitome of any late 50s cruiser, this Fairlane for sale has looks for days! With black painted steelies adorned with baby moons and beauty rings, wrapped in Goodyear radial tires, this car has a real 50s hot rod look. The interior is no different, with silver and gray vinyl interior. With benches both front and back, this car has plenty of room for you and a group of your friends and family. Its a real drive-in special. A $237.37 document fee will be added to the sales price. All purchases may be subject to any applicable tax, title, & licensing fees. For more information please call the Nashville showroom at 615-213-1800 or e-mail us at Nashville@GatewayClassicCars.com. This beautiful MGB was manufactured by the British Motor Corporation (BMC), later British Leyland, with a four-cylinder, soft-top roadster from 1962 until 1980. The five-bearing 1,798cc engine produces 95 horsepower with peak power coming at 5,400 rpm. The majority of MGBs were exported to the U.S. and the distinctive rubber bumpers were fitted to meet domestic standards. This white/black 1979 example sports only 21,000 original miles and is located in our Milwaukee showroom. Features include a manually operated top, AM/FM radio and vinyl interior. This survivor is an all original numbers matching car. You can view this amazing 1979 MGB in greater detail including HD pictures and an HD video of it running and driving at Gatewayclassiccars.com. If you are interested in purchasing this vehicle or have more questions regarding it, please call us at (262) 891-4253 or email us at Milwaukee@gatewayclassiccars.com. Our Detroit Showroom is very proud to offer this 1996 Chevrolet Corvette. The most recognized feature of this Corvette is definitely its LT4 engine option which was only offered in 1996 with the 6-speed models. This beefy powerhouse pumps out 330 horsepower and is sure to pin you to right back into the custom leather bucket seat. This Corvettes power plant is paired to a smooth shifting 6-speed manual transmission which is arguably the only way to go when purchasing a Corvette. This Corvette has just 30,320 actual miles and is in great condition inside and out. The exterior shows very well especially for its age with an amazing shine on the gloss black paint. The black leather interior and dark tinted brand new targa top are a perfect match to the exterior color. This beauty has all the modern amenities you would expect out of a Corvette including power brakes, power steering, power windows, power seats, AM/FM CD Cassette, traction control, 4-wheel ABS disc brakes, and the list goes on. If you are in the market for one of the only collectible C4s produced that is an absolute blast to drive, look no further. For more information on this 1996 Corvette, please visit www.GatewayClassicCars.com or call to speak with one of our friendly and knowledgeable staff members at 313-982-3100. We are excited to offer in our St. Louis showroom this beautiful look and smooth running British Racing Green 1989 Jaguar XJS Convertible. This one is priced to sell and ready to drive! This Jag is a bit different from your usual XJS, in that it is powered by a recently rebuilt Chevrolet 350 V8, rather than the stock Jaguar I6 or V12 Engine. The professional rebuild was done by Baldwin Racing in Missorri in 2018 and features an oversized cam and has been freshened up with new plugs and wires. It only has 200 miles since the rebuild and is under a two-year warranty. Backing this small block Chevrolet engine is a TH-350 automatic transmission, which means this 1989 Jaguar is sure to get you where you are going and get you there in style. Clad in the classic British Racing Green, this is a wonderful example of British style that Jaguar is known for. This 1989 XJS is completed by a tan, automatic soft top that just solidifies that old British look. The interior matches the top, with tan leather seats and tan carpeting and wood inserts that make it comfortable and pleasant to cruise down the road in, while maintaining the poise that Britain is known for. While in this 1989 Jaguar you can cruise with the top down, this Jaguar XJS is a great ride for driving around town or down the highway in a beautiful classic. Options on this 1989 Jaguar XJS Convertible include: Air Conditioning (has new compressor needs to be enabled), Power Brakes, Cruise Control, Radial Tires, Power Steering, Power Top, Tilt/Telescopic Wheel, AM/FM Radio with CD Player, Heated Seats, Aluminum/Alloy Wheels, Power Windows, Leather Interior. New radial tires were also recently added provide a smooth ride to this classic Jaguar. This 89’ Jaguar XJS Convertible has a popular drivetrain that is easy to maintain and is ready to be enjoyed by its new owner. To view this 1989 Jaguar XJS Convertible in greater detail including HD pictures and an HD video visit www.GatewayClassicCars.com or our St. Louis Showroom. 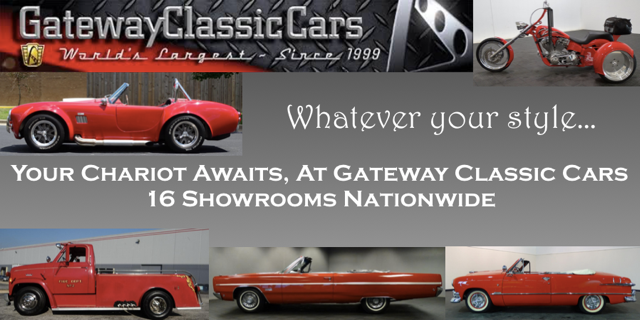 For more information, please call the St. Louis showroom at 618-271-3000 or email us at STL@gatewayclassiccars.com. The Dodge Magnum rear-wheel drive station wagon was introduced by Daimler-Chrysler in 2004 for the 2005 model year. Based on the Chrysler LX platform, the Magnum is the last mid-size station wagon (160cubic feet of combined passenger and cargo volume) sold by an American automobile manufacturer in the U.S. The Magnum had four engine options ranging from a 2.72 L V-6 rated at 190hp and headlined by two Hemi V-8 options. This beautiful 2005 RT example features a 5.7 Liter Hemi V-8 rated at 340 hp and sings a sweet song. The Magnum was listed on Car and Driver’s Ten Best List for 2005 and the combination of power and function is unique. The RT and SRT8 models also featured a Mercedes-Benz derived 5-speed automatic transmission. The owner states only 41,140 miles and the gorgeous leather interior fits the bill. Additional features include A/C, Traction Control, Power Sunroof, Power Seats with Lumbar Support, Keyless Entry, GPS/NAV, Heated Seats and Custom Wheels. The 2005 Dodge Magnum RT is located at our Milwaukee showroom. You can view this vehicle in greater detail including HD pictures and an HD video of it running and driving at Gatewayclassiccars.com. If you are interested in purchasing this vehicle or have more questions regarding it, please call us at (262) 891-4253 or email Milwaukee@gatewayclassiccars.com. Copyright © 2019 Rubber Hits The Road.info, all rights reserved.